Ling Puisze is an artist. Alisan Fine Arts, a pioneering gallery in the promotion of New Ink Art, is pleased to present a group exhibition for four emerging women artists, each deserving of the increasing attention paid to artworks with feminine viewpoints within the realm of contemporary Chinese art. Artists include Zhang Yirong from Beijing, Qiao Yuan from Shanghai, and Hui Hoi-kiu and CC Ling Pui-sze from Hong Kong. These four artists, from the perspective of women of the 21st century, are at the forefront of a movement to take traditional ink painting into a new era. 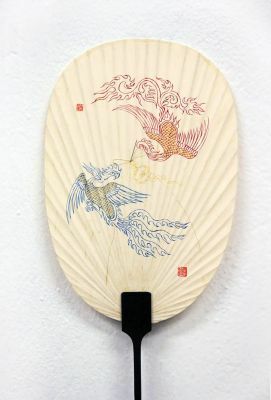 The exhibition includes fine floral and landscape paintings, as well as fan-shaped paintings and ink installations. Artists Hui Hoi-kiu and Zhang Yirong follow the classical techniques of detailed gongbi paintings, using monochromatic and delicate lines in their creation of flora and fauna, showcasing the beauty and exquisiteness of Chinese culture. Qiao Yuan and CC Ling Pui-sze create overlapping textures of Chinese ink & colour pigments on rice paper, adding a rich layering to their landscape painting and installation art. Local artists Hui Hoi-kiu and CC Ling Pui-sze will create new works especially for our exhibition, and will be present on South Island Art Day, Friday, 29 March to personally introduce their works to visitors, from 10am to 2pm.